Remember my post the other day about my "longing for summer"? Well, another Michigan snowstorm almost put me over the edge. I decided to take matters into my own hands and add a little spring inside with some simple but fresh accessories. 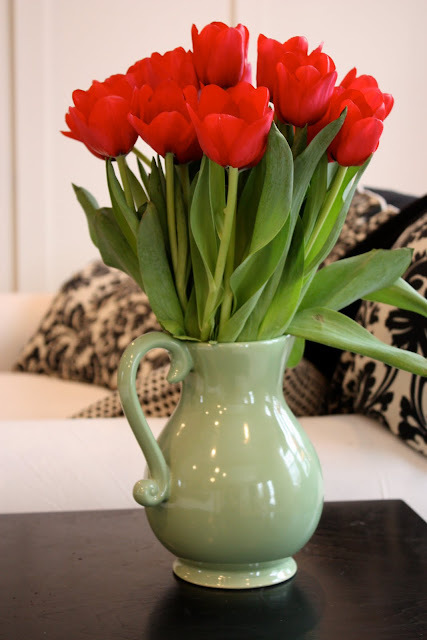 Nothing livens up a space like fresh fruit, vibrant red tulips and a gigantic fern. 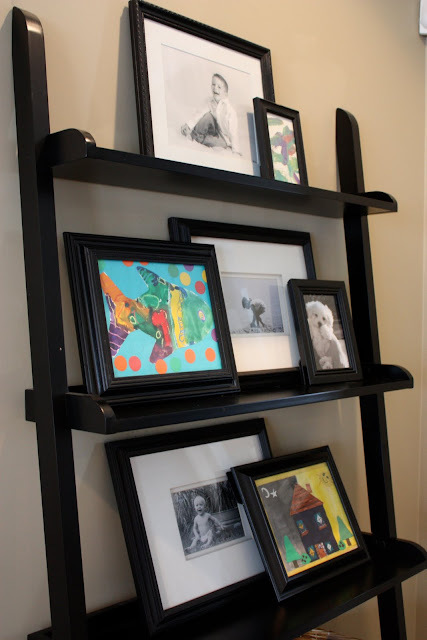 I took a sample of my kids' colorful artwork and placed it among our black and white display. ...and this is who greeted us from across the street this morning! Nice touches! I especially like the artwork amongst the black and whites. 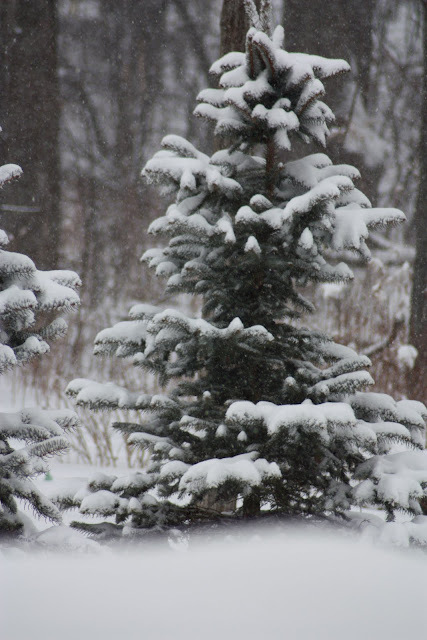 Beautiful touches to a cold snowy winter day. 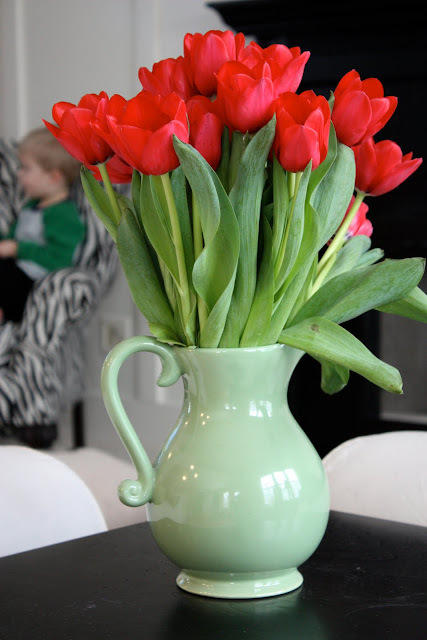 Love the tulips!! What a sweet way to show your kids how special their artwork is! I had recently painted a round mirrors frame black and was stumped on a place to hang it, then I ran across your blog, and it now sits on one of my accent tables as a tray, it looks great thanks for the wonderful idea!